These were a great triumvirate of iconic types to illustrate. I chose a low viewpoint and underlighting to add atmopshere and menace to the scene. Well I can`t see at least two of those getting together. Anyway, wonderful and original... painting or drawing? The eye of the beholder, d&d right? Okay - it is a beholder - classic DnD beastie. I see exact same looking creature is in dungeon siege . 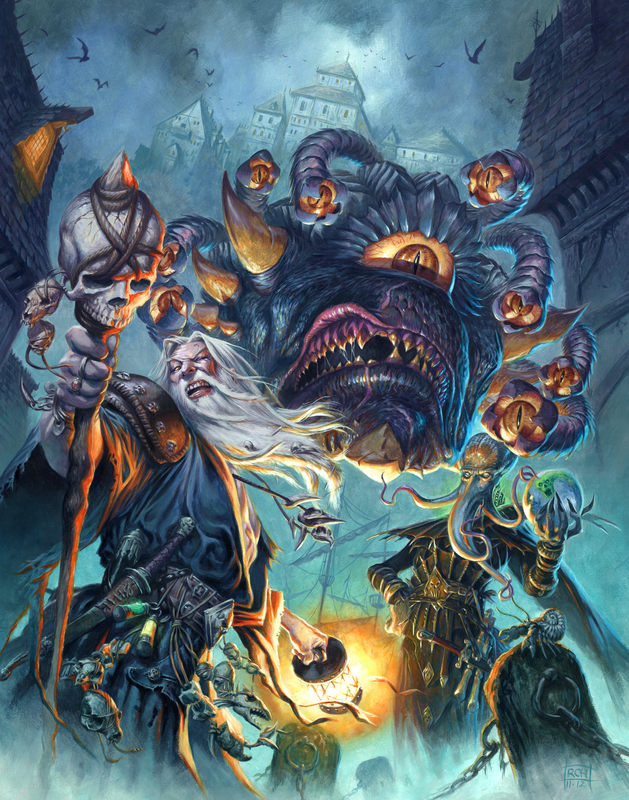 the Beholder is a classic DnD monster. Okay - it is a Beholder - classic DnD beastie! Congrats on the DD! This is one of my favorites in your gallery! Stunned by the level of detail in the pic. The floating head is truly gruesome and creepy. Perfect for this theme. A Beholder, a Mindflair, and a Wizard walk into a bar. There were no survivors.